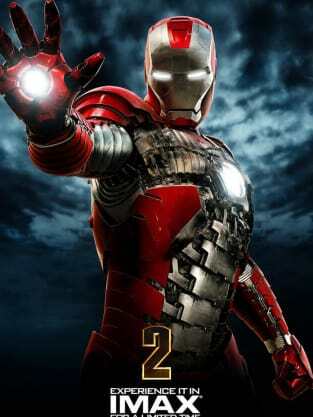 Iron Man and Whiplash Go Toe to Toe on Two New Iron Man 2 Posters! Iron Man 2 is due to hit theaters on May 7, 2010 in IMAX and regular theaters. 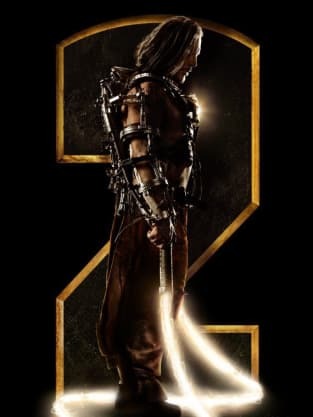 Marvel Studios and Paramount Pictures have released two new posters for the film, one featuring a new view of Mickey Rourke as Whiplash, and another showing off Tony Stark's Iron-Man-in-a-briefcase version of the armor. While neither of these posters are quite as hot as the Black Widow poster featuring a sexed-out Scarlett Johansson, the designs themselves are quite respectable. The IMAX poster shows us more of an action scene than any other previous poster, with the battle damage to boot, and the Whiplash poster is effectively dramatic, even though they've decided to use the "Giant 2" marketing technique behind it. Click on the thumbnails to view larger versions, and see all of our Iron Man 2 pictures in the gallery!